The Lime: Elephant Man launches "The Fan-ta-log"
On Tuesday March 2nd Dancehall recording artist Elephant Man commenced work on a new and exciting project geared towards building a closer relationship with his fan base both local and international. The new project which is dubbed "THE FAN-TA-LOG" will be a weekly video feature of the Energy God in all his glory performing some of his latest singles, answering burning questions about his career and will from time to time have a look at what his average day is like. In Week 1 of "THE FAN-TA-LOG" Elephant Man adds visuals to his latest street anthem "KINGSTON" a remix of the chart topping hit single "New York" performed by Jay Z & Alicia Keys. 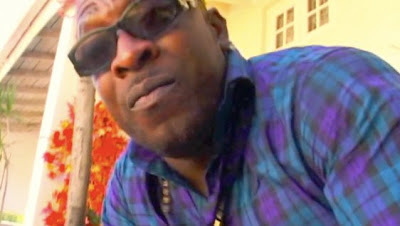 The video was shot on location in Kingston Jamaica. The FAN-TA-LOG series which will be produced and monitored by Public Relations Specialist Chris "Icey Jace" Campbell will target social networks, internet blogs and entertainment forums alike.